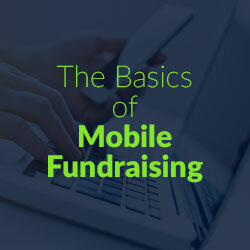 In today’s data driven world, modern nonprofits are finding that fundraising software is a necessity to complete their mission. Yet justifying the expense for fundraising software to board members can prove challenging. 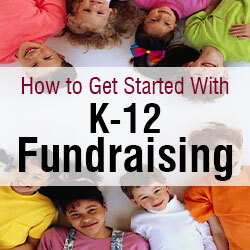 The first step in selecting fundraising software is to identify your organization’s needs. It’s important to know that whatever software you choose will fit your nonprofit’s needs now and in the foreseeable future. Before you dive in and start researching software options, create a list of the common issues your organization is currently facing that software may be able help simplify. How are you managing donor records? Are you finding challenges with planning fundraising events? Ticketing? Auctions? 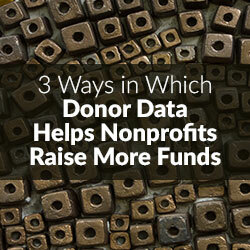 What kind of data sources are available for donor research? With this list in mind, you can make a more informed decision about which software is going to help you tackle your greatest challenges. What are the adoption costs? How long until we start seeing results from this investment? Why is software an improvement from our existing systems? You know your board better than anyone else, so take the time to think of other questions they may ask and be prepared with thoughtful responses. It will probably be helpful to break down larger questions into smaller ones to make sure you really address the board’s concerns. Selecting the software is only half the challenge. Presenting your findings in a way that will best answer your board’s questions is essential to make sure your organization makes the right purchasing decision. As you build your presentation make sure you address likely questions. Add facts, data and comparison charts so your board has a solid understanding of the costs and benefits of both keeping your existing system or purchasing new fundraising software. Try to schedule one-on-one conversations with key board members before you build your presentation so you know which key points you should highlights and which issues you should avoid. If you’re building a slide deck, focus on one key message per slide. Use graphics and images to illustrate your message. The fewer words per slide the better. Make sure you take time to practice your presentation beforehand. Have your team review your presentation with you before you present it to your board. If possible have a friendly board member sit in on your practice sessions and provide feedback. 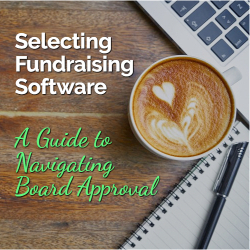 If you think your organization would benefit from fundraising software, it’s imperative that you take strategic approach with your board when securing funds for the investment. As long as you come prepared and provide a thorough presentation, you should be confident they’ll agree with you. For additional information on purchasing fundraising software, check out BidPal’s guide on Best Practice for Purchasing Online Donation Software. Technology can be very good for the nonprofit world. While technology has fundamentally changed the way we do business, the world outside of the for-profit sector has just recently caught on to its benefits. Some tech phenomena have already successfully infiltrated the nonprofit sphere, including the use of Software-as-a-Service (SaaS) to improve donor relations and other daily business functions, or crowdfunding for fundraising purposes. While existing technologies remain useful for many, the next wave of using technology for good will be in the peer-to-peer giving model. Becoming prime time in the corporate world in the early 2000s, SaaS took hold in the nonprofit space in the last 8-10 years. The very nature of SaaS made it ideal for the nonprofit sector: It’s easy to use, low cost, and avoids integration challenges that often come with on-premise databases. It was also readily adopted because of its ability to help groups manage donations and track individual donors. For example, Room to Read, a global organization transforming the lives of millions of children in low-income countries by focusing on literacy and gender equality in education, relies on SaaS application Salesforce for project allocation, reporting and tracking. It helps their global teams track at scale for both the project and donor side, enabling them to make more meaningful connections and retain existing donors. 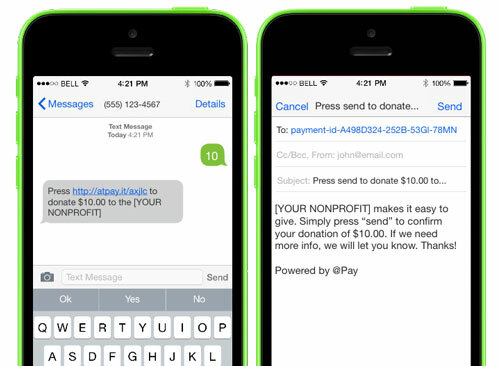 The next wave of technology modeled perfectly for nonprofit use was crowdfunding. Making its first appearance in the late 2000s, nonprofits quickly turned to Indiegogo and KickStarter to help fund their initiatives and programs. Crowdfunding caught on in the nonprofit world because it was an easy platform for anyone to access and donate to. With online payments becoming standard, it took the hassle out of mailing a check or donating in-person. Also, the collective community aspect allowed hundreds of people to work together to reach a common goal. In 2014, Code.org launched its ‘Hour of Code’ program, with a goal of raising $5 million on Indiegogo to train 100 million students to code. They also created a viral video starring Mark Zuckerberg and Bill Gates for the campaign. It was the most successful Indiegogo crowdfunding campaign of its time, quickly surpassing its goal and showcasing the power of collective online donations. While SaaS and crowdfunding have clearly made their mark on the nonprofit sector, the next technology that will be adopted in the nonprofit sector is peer-to-peer sharing. First emerging in the late 2000s and becoming mainstream in the last three years, the for-profit sector has already seen runaway hits in the peer-to-peer economy with startups like Airbnb, Uber and Zaarly. So what if this model was applied towards social good? 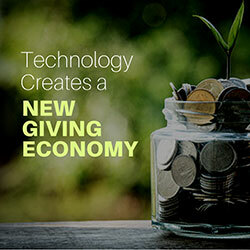 Elevating the sharing economy to the giving economy, nonprofits can tap this concept to allow donors to connect directly to those in need. Users are already familiar with peer-to-peer giving technology and it is easy to use and implement at a broad scale. Also, it is appealing to a millennial’s mindset who wants to help or receive help at the touch of a button. Additionally, this model takes crowdfunding one step further by creating a meaningful one-to-one connection. Instead of being one of many, a donor can foster a direct relationship with someone in need and feel more satisfying for the donor. Donors who give in this way often receive immediate and direct feedback from someone they have helped, bringing a rush of emotions knowing they have impacted someone’s life. This is what turns random acts of kindness into a normal habit. Out of all the nonprofit sectors, social services can benefit the most from peer-to-peer giving since it fosters a more dignified way for people to seek help. Because peer-to-peer giving is non-conditional and not predicated on paperwork, rules about sobriety, lifestyle, or impersonal prioritizations by well-meaning social agencies, those who need help can simply receive it from another community member. For instance, if a homeless person requesting a tent has to wait six months for social services paperwork to go through, it can mean they have to sleep outdoors, in the rain, in fear for personal safety, for another half a year. Peer-to-peer giving can drastically shorten the time to receive something critically needed for survival from months to days or even just hours. The tech world isn’t just in a Silicon Valley bubble anymore. Technology has helped nearly every industry around the globe develop new product or services. With an ever-expanding influence, we have the opportunity to capitalize now on these innovations and benefit the greater good. Next time you spend 10 seconds requesting an Uber, imagine spending the same amount of time to help someone in need. Donating money, supplies or services to anyone, anywhere, with a single click. As the new economy forces nonprofits to act more like the for profit world, you should ask yourself this question: is your organization fooling itself by managing to a number? Are you devoting this year’s donor initiative to prospects that should be given a longer nurturing period in order for your organization to gain a larger gift? Where else might short term actions detract from the best decisions for long term social missions? To better apply this to the nonprofit world, let’s start with the more easily visible version of this issue in the for-profit world. By applying the following points to your organization, you may be able to improve its sustainability. Leaders of both public and private companies sometimes publicly single out specific numerical targets for net income. Once stated, those targets often become obligations. So why is this an issue for them and you? Well, in those leaders’ zeal to consistently reach numerical goals, for-profit organizations begin to fall for the temptation to stretch some quarters to reach targets. Sometimes, they even slow down, lest they bring in too much income above the target number in another quarter. The result: in their ever-increasing attention to reaching short-term numbers, leaders can lose focus on making the best long-term decisions to build values. When they have gone too far in covering shortfalls to reach arbitrary numbers, companies often hold “fire sales” to ensure they get the last few sales needed for target revenues. This practice can backfire and result in customers quickly learning to hold off on purchases until the regular desperate overture is made at period end. All of these complications result from a focus on hitting the sacred numerical targets. This ends up reducing margins as well as creating a spiraling impact as the company continues to try to make upcoming period results. At what point does this create a situation where the for-profit or nonprofit organization gets too caught up in the process and loses track of real balance sheet and operating information needed to make the best decisions? The closer to customer facing activities this incorrect data reaches, the more likely it creates operational inefficiencies. As a result, the company owner, leadership team, or staff will likely devote holiday time to managing wasted energy needed to hit those numbers, when instead they should be looking at building equity and long-term wealth. Consider targeting a numerical range, not an exact amount. Why not set a number goal of, plus or minus 2 to 5 percent? Think of this concept sort of like a flex budget. Change the tone from the top to emphasize doing things right, instead of focusing on managing income. A number of experts suggest that an emphasis on doing things right does a better job of building long term equity or fund balance. This tone fits better with the mission and vision for most nonprofits, anyway. And, in return, Santa only asks that you truthfully reflect on the possibility that this short-term income-oriented behavior runs deeply in your socially-concerned, mission-driven nonprofit. The fact is, you may need a fresh set of eyes to see where you are. Then, as you begin to eliminate non-economic activities, maybe the majority of your employees can enjoy their holiday time. This concept can apply beyond the traditional holiday season to other holidays throughout the year like Valentine’s Day, Independence Day, Labor Day, Thanksgiving etc. As social media continues to grow in popularity, the investment by early adopters into online fundraising and technology is finally starting to pay off. If you were not one of the early adopters, don’t worry, it’s not too late to build and engage your online community. There are many social media channels useful to nonprofits, and a multichannel approach strategy is highly recommended. But for the purpose of this article, we are going to focus on one of the most widely used communications vehicles today, Twitter. Twitter has been used to raise hundreds of thousands of dollars for charities and charitable causes – according to an MDG Advertising report, using Twitter during fundraising events can result in 10 times more money raised online. It has helped successfully spread awareness about social issues, and best of all, it’s free (for the most part). 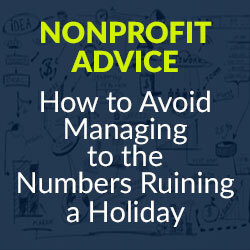 Those reasons alone make it a major asset to nonprofits. Audience growth on social media continues to be very high. The 2015 M+R Benchmarks Study reported while email list sizes grew by 11 percent in 2014, Twitter audiences increased by 37 percent averaging 5.4 posts per day. 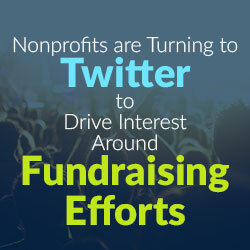 Because spreading the word is a core function of Twitter, it is an ideal place to raise awareness and support for your online fundraising effort. But to do it successfully takes more than posting multiple tweets a day. First and foremost, focus on building and nurturing your community of supporters through offline and online channels. Twitter is a great tool to have in your arsenal, but it’s the community that powers it. These tips should help you harness that power and start you off on the right foot to a successful fundraising campaign. The following steps will guide you through the “rules” of engagement. Don’t try to sell yourself in 140 characters, but do tell stories. If all you do is tweet about yourself, and never provide value in your tweets, your followers will lose interest quickly. Keep your language casual. Talk about your supporters and what they have been able to accomplish. You can build the story with multiple tweets. Provide value to the audience. This is a must to get your supporters engaged. Find a balance within your tweets by providing information (i.e., retweets from other organizations), a quote, inspiration and even entertainment to brighten their day. Be true to yourself. But not at the expense of being heard. The biggest mistake nonprofits make on Twitter is when they tweet with the same voice they use in their letters from the executive director. It won’t work. If all you “give” is speeches on Twitter, you won’t have many people listen; they will move on. Talk and get involved with hashtags. Spotlight other people that are doing good things that are related to what your cause is doing. Provide value and you will build a much bigger social media following. 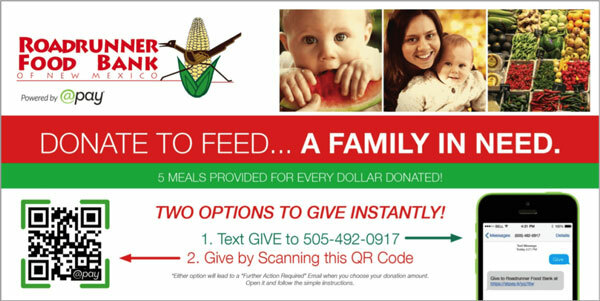 Demonstrate return on investment (ROI) from a donation. You are asking for help. Be sure to state your purpose clearly and concisely. Let people know why they should care about your cause, and be specific about how their contribution will benefit others. Potential supporters are more apt to respond to your ask if they know exactly what will become of the funds they are providing. You will ensure your organization’s credibility by being specific. Communicate an achievable goal. “We need to raise $1,000 in the next hour to provide a safe place for 50 women and children to sleep tonight.” “If we get 20 new supporters today an anonymous donor will give $1,000 donation.” Make it realistic and achievable. Whatever your goal is, during the day, tweet out your progress. 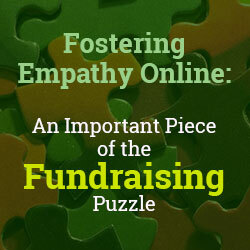 Be sure to time your online fundraising posts thoughtfully. People will lose interest in the idea of supporting your cause if the pattern of your tweets appears robotic and repetitive. The power of friends. Friends inspire 33 percent* of the time! Take this opportunity to drive community and donor engagement around your nonprofit’s cause. Urge donors to post messages about their gifts on social networks to encourage their friends to give. 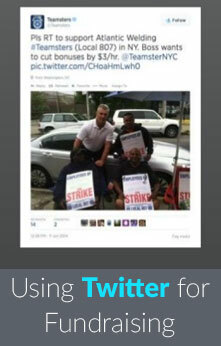 You get two opportunities with this one – stay in touch with current supporters, get retweets and gain new supporters. Don’t forget to use RT (retweet), and #FF (Follow Friday) when calling out your friends to follow. *Salsa online donor engagement survey. Match your branding, headlines and call to action. It’s all about the details. 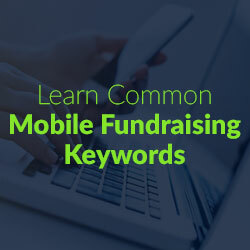 Make sure your donors are directed to a landing page that matches your tweet. When you are driving a donor to a branded page your conversion rate will be six times higher. Follow up. 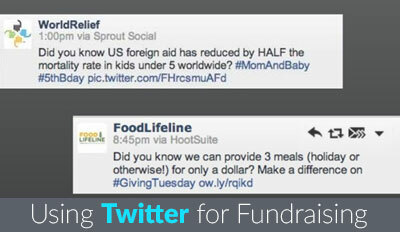 If you are implementing a fundraising campaign be sure to plan your follow up before you ever send your first tweet. Know what you want your tweets to say, how often and what you expect your results to reflect. It is important to have a number of tweets ready so you can respond quickly and appropriately when the time comes. And as most of you know, the real trick in raising money is to not give up. The same goes for Twitter. As you continue to build followers and spread your message and relevant news about your cause, those followers will step up and push your message as well. In 2004, I moved to India to help start a new research lab in Bangalore for Microsoft. With the move I made a conscious shift in my own career. Whereas I previously did technical computer science research, in India, I turned to explore the application of technology to social causes – innovative software for education, mobile services for healthcare, digital video for agriculture, and so on. And that shift caused me to go out in search of partners who were experts in serving communities: nonprofits. Before I got far in my search, though, I found that nonprofits came looking for me. Some were curious about our research, but for the most part, they were interested in donations: Could I get them free software? What did we do with our used laptops? And, any chance of a cash gift? Since then, I have worked with a wide range of nonprofits– as volunteer, advisor, consultant, or board director – and I’ve found that even in the best of circumstances, collaborations between civil society and the private sector are full of misunderstandings. But, the misunderstandings can be mitigated with a little mutual knowledge. In this article, I focus on what nonprofits need to know when interacting with corporations as potential donors. The most important point is that raising funds from corporations is not that different from raising funds from other sources: personal relationships matter a lot; knowing their giving strategy and process is important; different organizations require different approaches; regular acknowledgment and reporting can strengthen relationships; and it’s good to have a crisp message about what your nonprofit does and how it aligns with their interests (both as the representative of the larger organization and as an individual). First, because private firms are not primarily in the business of giving, they often don’t have a unified, publicly articulated giving strategy, nor a clear path to engaging with them. You have to work harder to understand what their giving interests are, if any. Second, businesses can be both carefree and narrowly quid-pro-quo about grants. The same company that casually tosses a few thousand dollars to one organization might demand an exact accounting of how they benefit when supporting another organization. 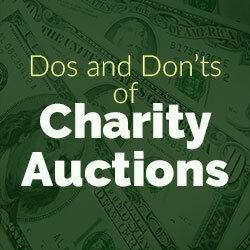 From the nonprofit’s perspective, it helps to be clear about donor benefits, in any case. A default option is to claim PR value, but there may be creative ways in which you can return the favor in more concrete ways. Third, there are many ways in which a business might make gifts. It’s worth approaching different groups within the company, not just the most obvious one. And, each might require a different approach. The first thing, of course, is to go to the company’s website and see if there are any corporate social responsibility programs. Larger companies will be sure to advertise their CSR work. The sites can be heavy on the marketing, but they will give you a sense for companies’ CSR priorities. Corporate social responsibility. If a company has an official CSR group, it is often run like a nonprofit foundation and can be approached in a similar way. CSR advisors generally recommend that giving programs align with the corporate brand, so look for businesses that are related to your cause, or fill your specific need – pharmaceutical companies for your public health program; software donations from a software company; pro bono legal services from a law firm; etc. Employee giving. Many companies encourage employees to make charitable donations, and some match employee gifts and volunteer hours. If you can get a group of employees excited about your nonprofit, they could rally support among their colleagues. There may also be a time of year when the company runs an employee giving campaign – just before or during, have someone on the inside host you for a brown-bag presentation. Business development. Your extended network of donors, supporters, volunteers, and beneficiaries might be exactly the customers that a corporate sales team is chasing. If so, they might sponsor events you host that put them in front of potential customers. Client relationships. Firms that provide professional services to other companies – legal, consulting, accounting, etc. 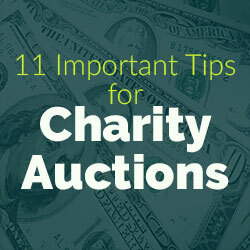 – sometimes donate to causes championed by their clients. If any of your board members work with such services in their day job, they could hit up those they contract with for donations. Relevant units within the company. Large companies tend to serve many different types of customers, and different sub-units have different priorities. Even if you have no luck with a company’s formal CSR group, it may be that their education-focused team would support your non-profit’s work in schools. When I was with Microsoft Research India, what I sought in nonprofits was research partners – our budget wasn’t structured to give away a lot of funds, but when we made grants, it was to nonprofits who worked with us on research. Seek out every possible point of connection. All of this reinforces the need for strong fundraising fundamentals. Large organizations are rarely the monolithic fortresses they appear to be from the outside; they are a society of smaller groups, each with their own goals and budgets. So, it helps if you build multiple relationships – you can often “snowball” from one point of contact; employees tend to trust their colleagues’ referrals. Good personal relationships are the best way to get the inside story, to hear about unadvertised opportunities, and to build the trust that any donor wants in a grantee.